Hey All! 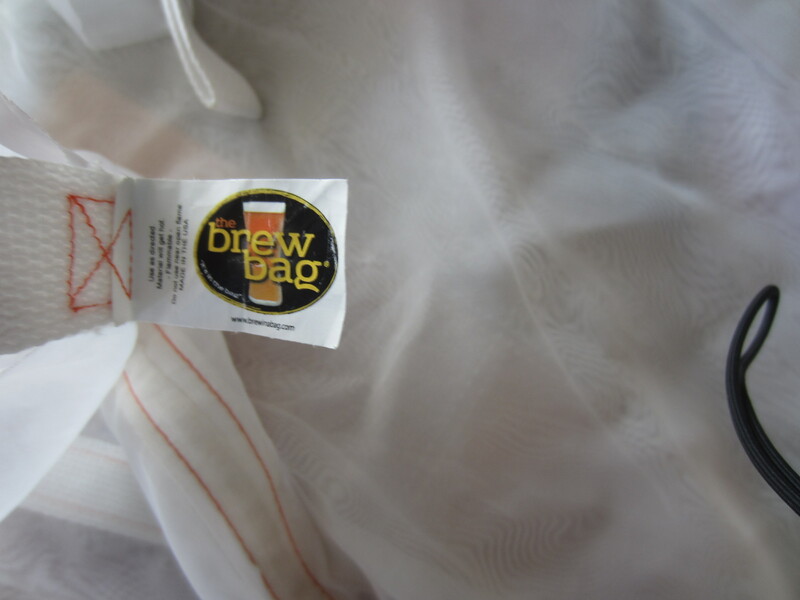 This is my first entry about my home brewing, and I’m sure the format will evolve as I chronicle more brew days. 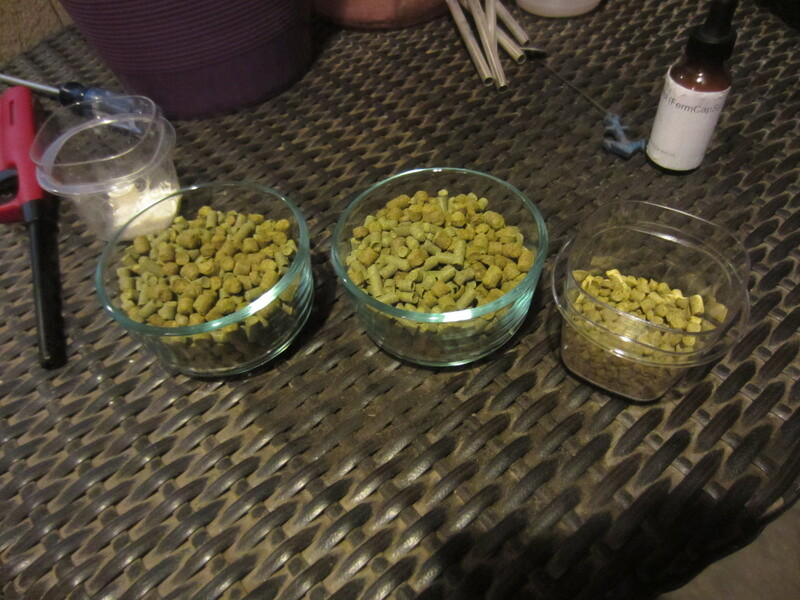 Yesterday evening I brewed up a batch of my house IPA, in which I use the same base malt recipe and swap out the hop profile. I began my brew day like I always do, with a trip to go buy some good brewing water. I’ve used bottled distilled water with great success, but have found that the local reverse osmosis filtered refill stations are much cheaper and equally effective at making good beer. 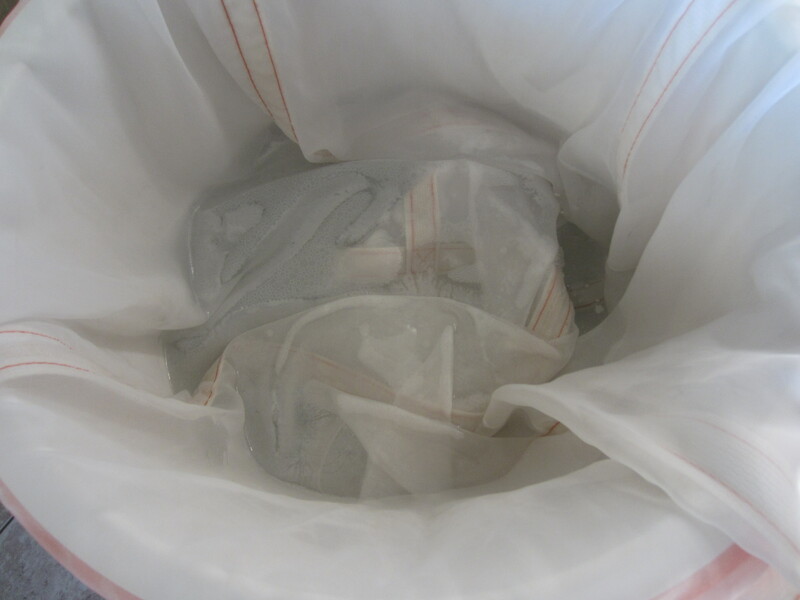 I usually take two empty, clean carboys to get about 10 gallons of water. 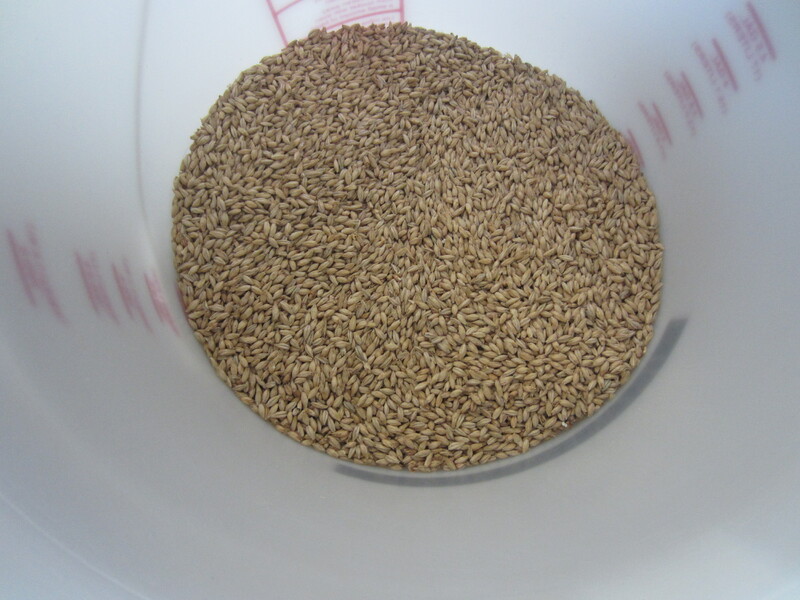 I purchase my grain unmillled, usually from my local homebrew shop, or from an online retailer (MoreBeer.com has been my go-to since I discovered it). I have a Barley Crusher grain mill, and begin measuring out my grain to crush after I get my strike water on the burner. 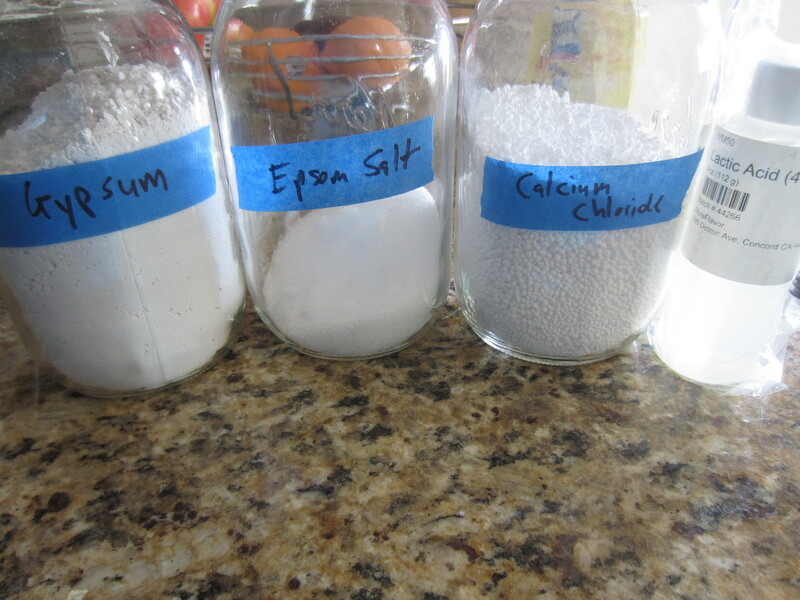 After milling the grain, I measure out my water treatments calculated using EZ Water Calculator. 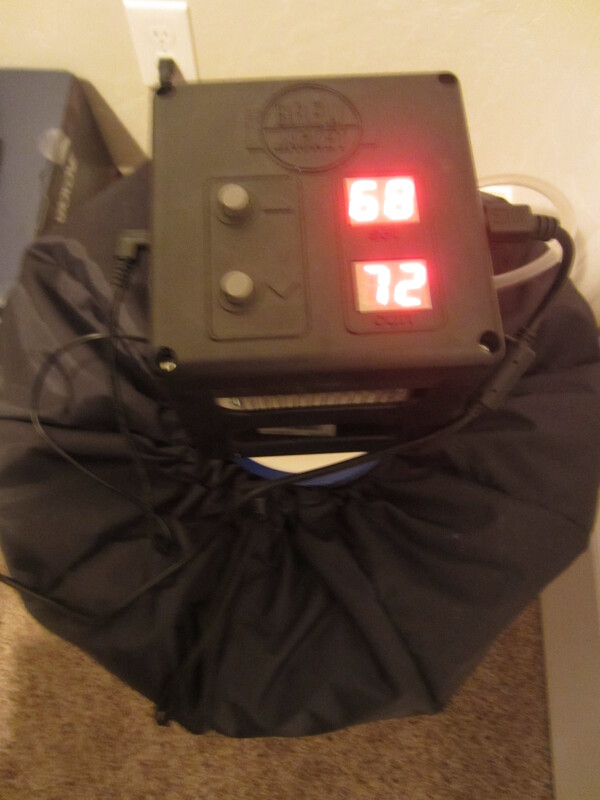 I’ve been using the Brewbag Mashtun Filter (maybe I’ll put up a review soon) for a few batches, and use a long, thin mash (75 minutes @ 150°, 2.3 qt/lb ratio) to create a highly fermentable, dry wort. 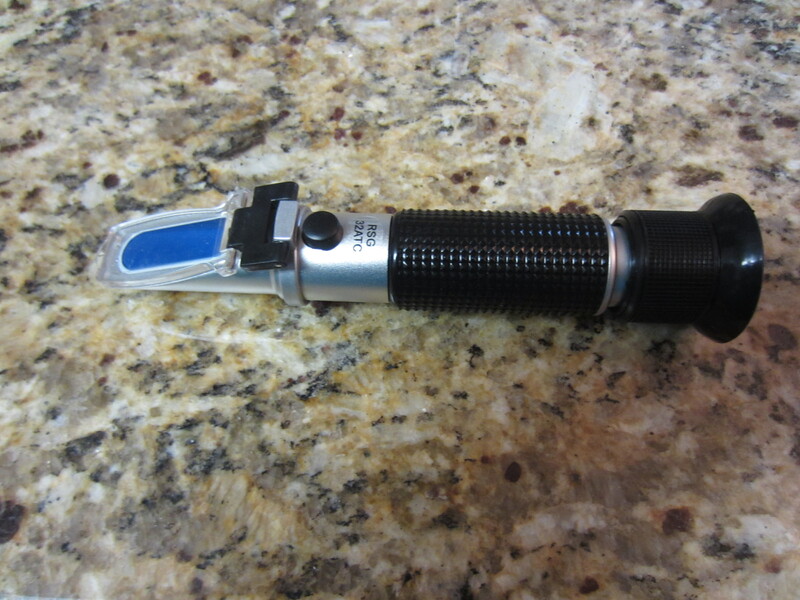 After 75 minutes, I begin to drain the mash tun and take a quick first runnings reading with my brand new, freshly calibrated refractometer. I hit my numbers right on based off this helpful chart. I haven’t vorlaufed since using this mash tun filter, and while the wort doesn’t come out crystal clear immediately, I haven’t noticed any difference in my end results not doing so. After draining the tun completely (including lifting the bag and some gentle squeezing), I add the sparge water, which I heat to a near boil to hopefully reach about 168° in the grain bed, which I let rest for 10 minutes before completing the batch sparge process. 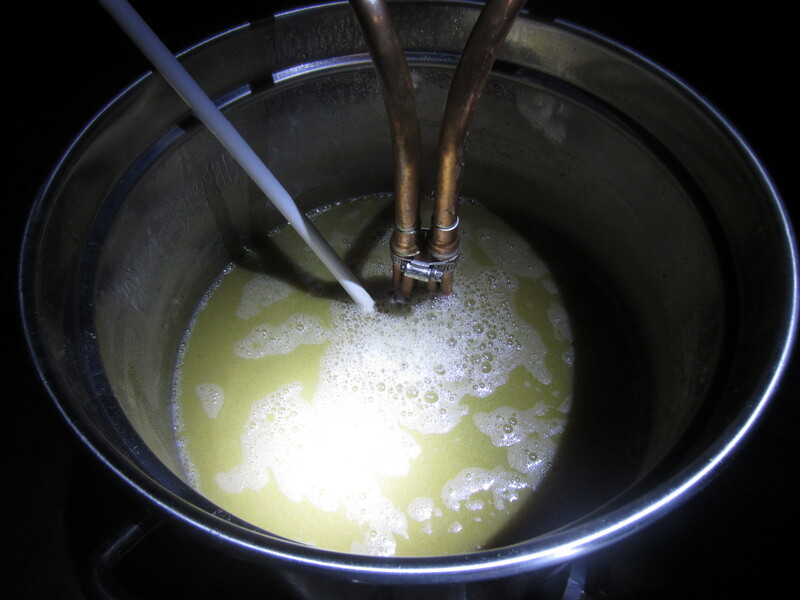 Based off of my first runnings and pre-boil gravity, I don’t rinse my grains particularly efficiently. It’s been relatively consistent of the last 5 batches or so, so I’m not really stressed about it, and can live with ~70% efficiency using quick and dirty batch sparging. Since I have a 90 minute boil, and the first hop addition is at 45 minutes, I wait until I get the boil rolling and under control with the help of some Fermcap S to measure out my hops. 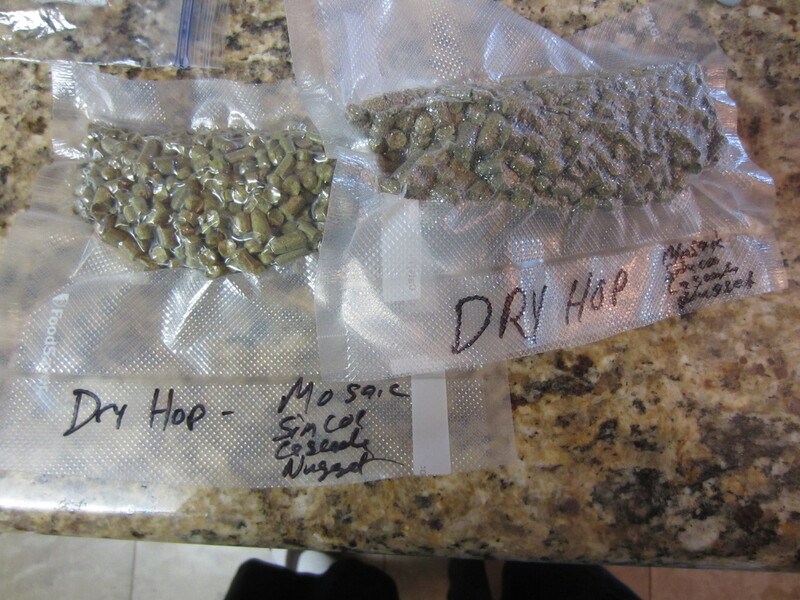 I also use my vacuum sealer to prep my double dry hop additions, to make things easier when that time comes around. 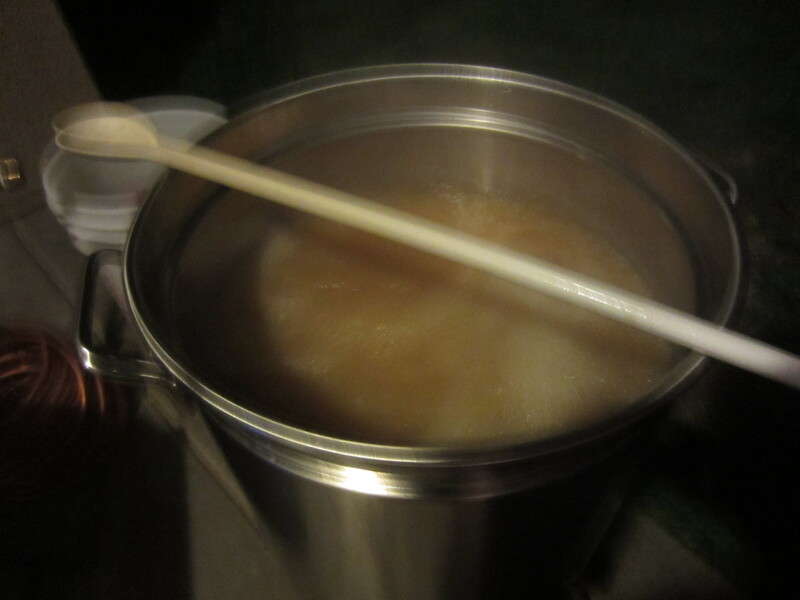 After the boil, flame-out hop stand, and 175° hop stand, I chill my wort using my totally bitchin’ Hydra wort chiller. I get it down to 72° in about 7 minutes, then bring it inside to rack to my 6.5 gallon Plastic Big Mouth Bubbler. 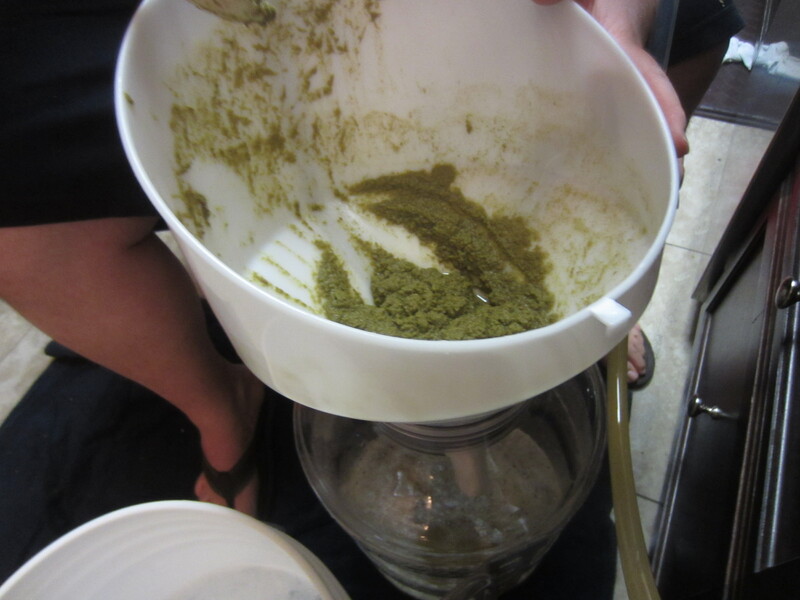 I rack it through a funnel with a filter, and as one would expect with 9 ounces of hops clogging things up, it is a bit of an adventure filtering out all of the sludge. 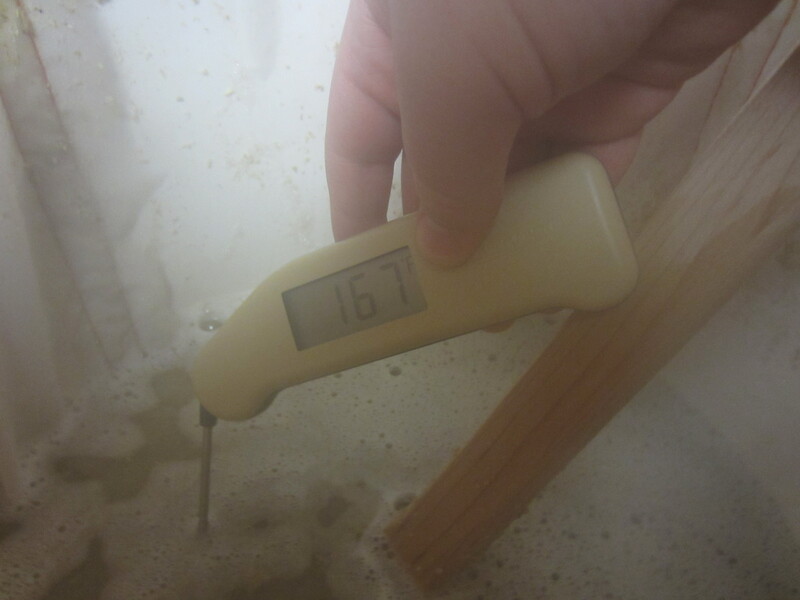 I rehydrated 2 packs of Fermentis US-05 yeast during the hop stands, and after oxygenating the wort with pure oxygen for 60 seconds, pitch the slurry and set up my BrewJacket Immersion fermentation temperature control unit (review definitely coming soon). I set it to 68°, and within a few hours the unit has it down from 72°. I’ll provide some updates after kegging/dry-hopping/tasting, but for now that’s about it. I will say it smells absolutely freaking phenomenal going into the fermenter. Huge, juicy berry notes from the Mosaic, with undertones of piney, catty dankness from the Simcoe/Nugget. I was originally going to use Amarillo, but didn’t have any in stock, and some quick Googling suggested the Cascade/Nugget substitution. Thanks for reading, and stay tuned for updates! I racked this beer to a keg after 8 days in primary fermentation. 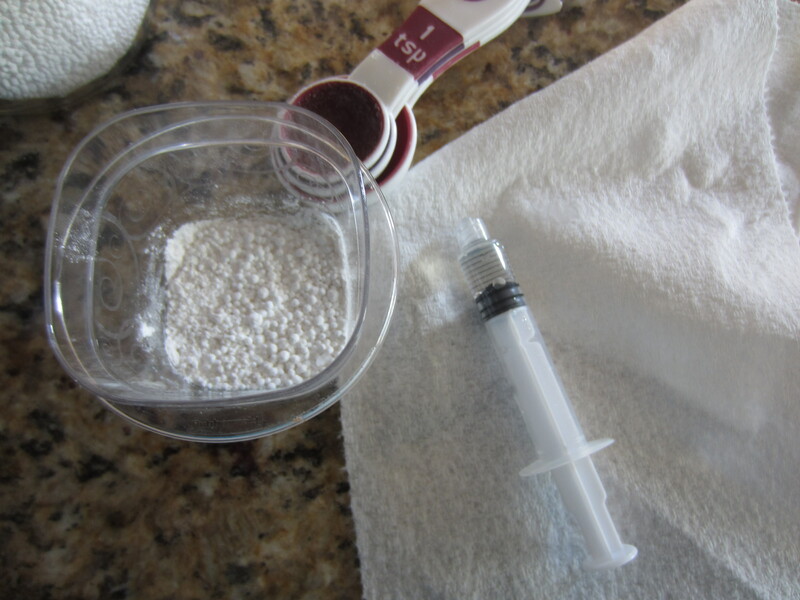 It appeared to have reached final gravity, ~1.007 (my hydrometer came calibrated to 1.003 instead of 1.000). There was a nice layer of yeast/trub hanging out in the bottom of the fermenter. It came out to 7.5% ABV. I treat myself to the hydrometer sample, as I always do, and find this beer is right on schedule. Smooth bitterness, juicy melon hop flavors, just enough base malts, and plenty dry – just how I like my IPAs. I purge my sanitized kegs with co2 in order to hopefully prevent oxidation, then prepare my Stainless Keg Hopper for my first dry hop. After siphoning from the fermenter to the keg, I add the hops to the keg hopper, and attach the lid to one of the keg handles via sanitized unflavored dental floss. I purge the head space with more co2 and to seat the keg lid – about 30 psi. 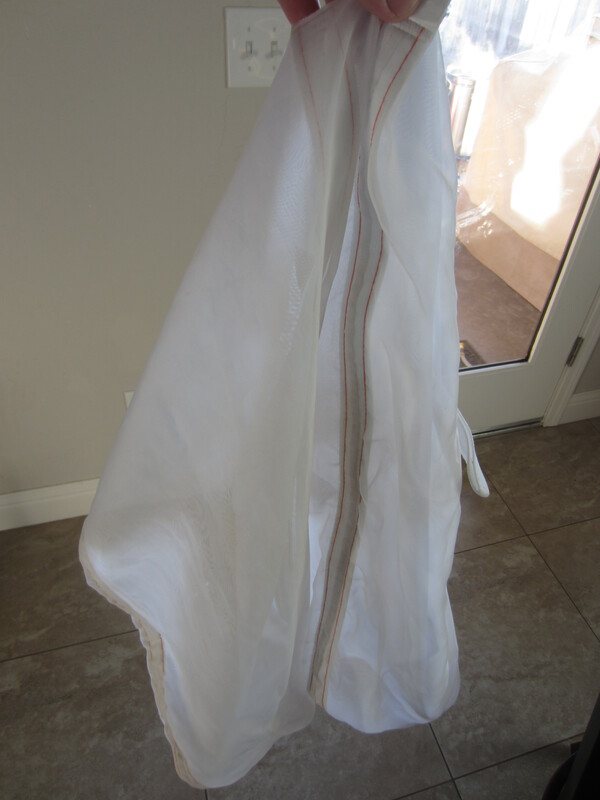 After tagging the keg, it’s off to the pantry to hang out until the second round of dry hopping. I followed the flame out/whirlpool hop schedule for the dry hop. I’ll provide one more update when it’s done, followed by a detailed beer review! 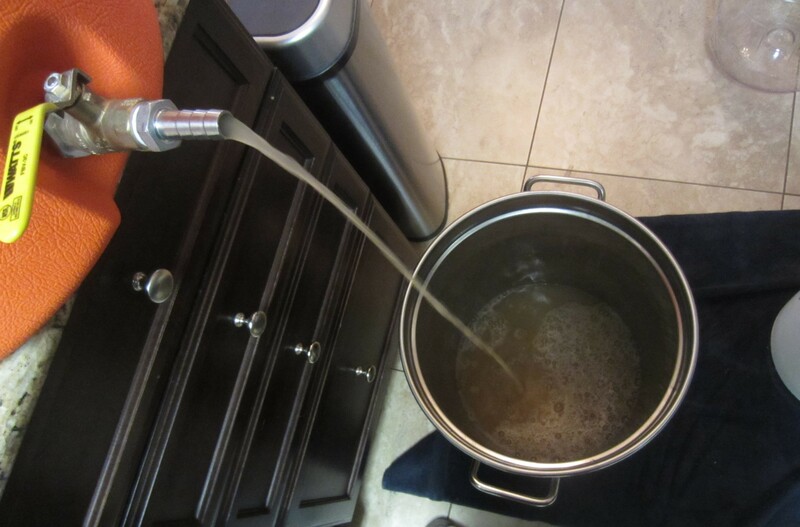 This entry was posted in Homebrewing, Recipes. Bookmark the permalink.